We pride ourselves in serving the best breakfast around. 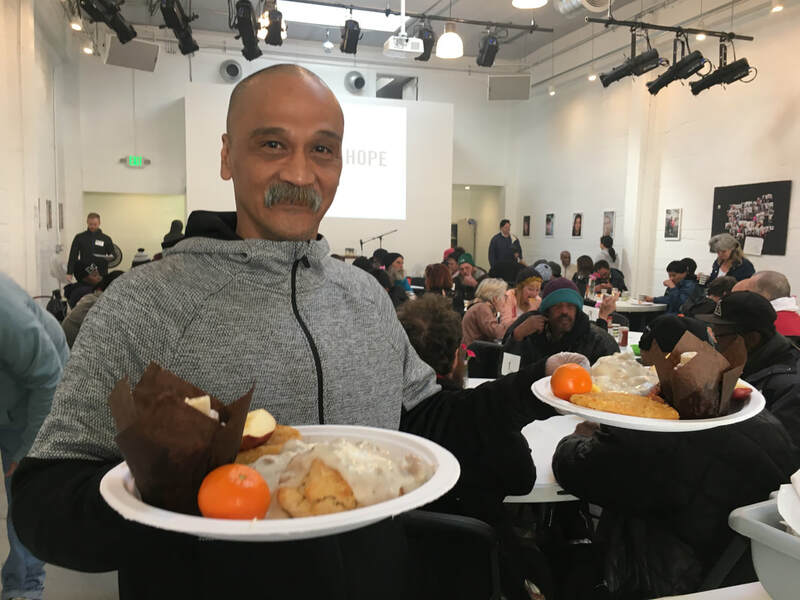 We open our doors the last Saturday of every month to create a space where our neighbors can enjoy being pampered with a hot breakfast and feel like they’re a part of a family. Breakfast is served restaurant-style, with menus, round-table seating and eggs cooked "to order". Come join us! The Community Breakfast is a great volunteer opportunity for individuals or groups wanting to cook or serve a meal. Since we prepare most of the breakfast fresh that morning, this is a perfect way for larger groups to serve together. Groups: Interested in serving but the last Saturday of the month doesn't work for you? Contact us about scheduling a different Saturday! Departure: 10:20am. Volunteers are expected to stay afterward to clean up - we're usually done around 10:20am.